We’d love your help. 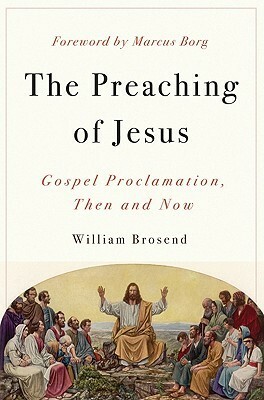 Let us know what’s wrong with this preview of Preaching of Jesus by William F. Brosend II. To ask other readers questions about Preaching of Jesus, please sign up. While I am not a professional preacher, I enjoy preaching when the spirit moves me, and have done so about a dozen times or more in the last 10 years. This book has some provocative points--especially about self-reference in preaching. Dr. William F. Brosend II is a priest of the Episcopal Diocese of Kentucky and serves as Professor of Homiletics at Sewanee, University of the South. Brosend divides his research and writing interests between homiletics and the New Testament.